I was delighted to be invited to attend the Sleek blogger brunch in celebration of the “i-divine” palette turning 10. The brunch took place in the quirky setting of Drury Buildings in Dublin and the venue was ideal for such a fun filled afternoon. 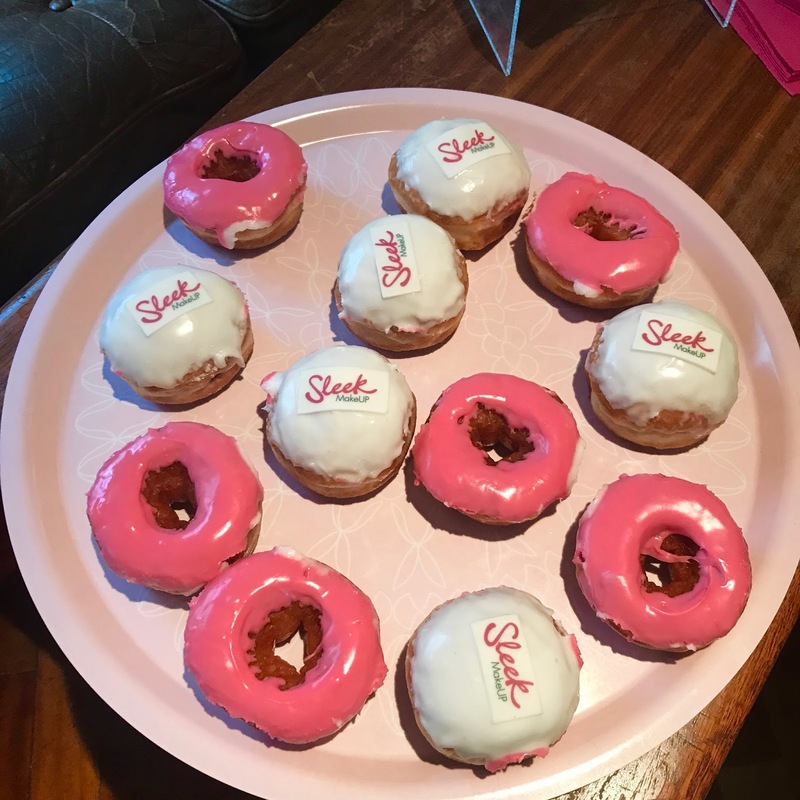 It was decorated with lots of Sleek branding, pink balloons, pink doughnuts and even a pink birthday cake! I was seated straight away and presented with a mimosa cocktail and the menu which had a fab selection of brunch bites and whilst we ate, we were treated to a makeup demo by the fabulous Pixiewooo! I love attending blogger events but even more so when they involve a brand that I genuinely love! I have been a Sleek customer for years and I am not only impressed with the quality of the makeup but the price. Everything is super affordable and I cannot recommend their makeup enough. I didn’t get to stay for the full brunch as I had to leave a little early but whilst I was there I had the opportunity to meet some fab gals that I have been following for a long time such as Laura from Lauras Views who was was just the loveliest girl. Even though I had to leave, I couldn’t wait to get home to raid the fabulous goody bag! It was filled with some gorgeous “Sleek” goodies such as their contour palette, their “Matte Me” lipsticks and of course a limited edition “i-Divine” eyeshadow palette which was celebrating 10yrs in production. Below is a selection of pics from the day as well as a few of the pieces from my goody bag and a look at what I wore to the event. If you have any questions about the brand you can give me a shout only social media or check out the Sleek website at sleekmakeup.com for all of the info!